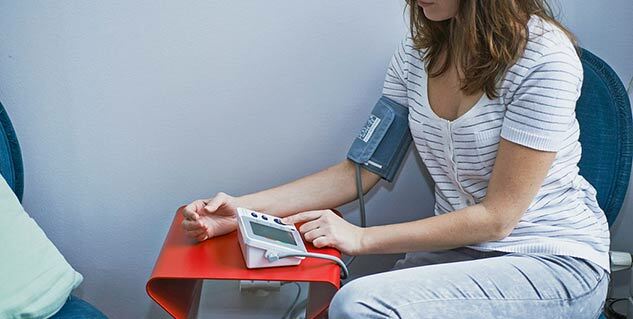 What is the relationship between fasting and low blood pressure? To control low blood pressure have seven to eight servings per day of grains. Regular exercise is a sure way to help control low blood pressure. A few hours of “lifestyle physical activity” a day can drop systolic blood pressure. Fasting is a sure way to do away with extra flab, give your body rest and do away with all those inner toxic substances so that you can enjoy a good healthy life. Here we are going to talk about fasting and low blood pressure and the relation between the two. The day you are diagnosed with low blood pressure, your physician will chart out some long term goals for you – shedding your extra kilos and getting off alcohol for good eventually. All that is good and well – besides which there are so many simple ways you can take control of your blood pressure in your day to day life. Simple Changes to Your Diet - To control low blood pressure and keep your heart healthy, have seven to eight servings per day of grains and grain products (these can include breakfast cereal, whole grain bread, rice, pasta and so on.) Eat plenty of fruits. Having at least eight to 10 servings of a variety of colorful fruits besides cold-water. olive oil; and nuts, seeds, and flaxseed. At the same time, to control blood pressure you want to decrease your intake of refined white flour and sugar, partially hydrogenated oils, starchy vegetables like corn and peas, processed fruit juices, organ meats, cashews (because they’re high in saturated fat), full-fat dairy products, and omega-6 oils (such as corn, safflower, and sunflower). Exercise - Regular exercise is a sure way to help control low blood pressure. Physical activity also lowers levels of stress hormones circulating in the blood, which is important since stress tends to constrict arteries and drive up blood pressure. To control low blood pressure, you want to strive to exercise three to four times a week. Try taking a brisk walk, getting on your bicycle, playing noncompetitive golf or tennis, or even dancing —all of which are great for your blood pressure and your stress level. Even simple day-to-day activities like taking the stairs instead of the elevator, parking further back in a parking lot, or a leisurely walk, are helpful to control low blood pressure. De-Stress - Stress is a major mitigating factor when it comes to your blood pressure; so be aware of the psychological pressures you’re juggling. Some good ways to de-stress and control low blood pressure include meditation, relaxation, imagery, yoga, prayer, Tai Chi, exercise, reading, listening to calming music or playing with children and friends into your daily life. Talking with someone you trust about the stresses in your life benefits your wellbeing—and helps you control low blood pressure. Do your chores - You have no more excuses; now you’ll absolutely have to do the dishes. Researchers found that simple household chores can lower your blood pressure as much as some medications. A few hours of “lifestyle physical activity” a day can drop systolic blood pressure. Washing your ride, mowing the lawn, running the vacuum or even doing the dishes can help. The key is to burn at least 150 calories while you do your chores. Simple lifestyle changes can make a big difference. Sleep well - A study found that poor sleep leads to hypotension. The researchers found that those who had nightmares, tossed and turned, snored or woke frequently during the night had lower blood pressure than those who slept uninterruptedly. People who get five hours or less of sleep a night are more likely to develop hypertension. This shouldn’t be news to anybody; a good night’s sleep has long been linked to good health. Such adequate lifestyle changes can do wonders for your cardiovascular health. However, these methods shouldn’t be seen as cure-alls for hypertension. 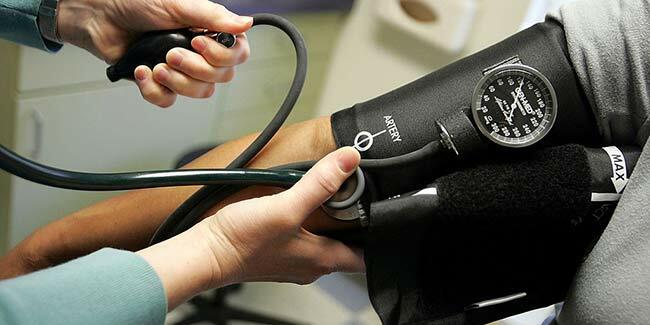 Visit your doctor often and keep tabs on your blood pressure. However, it is a wonder how small lifestyle adjustments can go a long way in taking care of huge problems in the future. Besides, your partner will appreciate a lot if you helped her with the dishes, too!